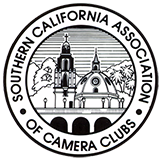 The honor of Fellowship of SCACC is awarded in recognition of contributions to the advancement of the arts and sciences of photography, for the promotion of photography within the community and to the betterment of the Association. Such contributions take many forms. which generally can be divided into those resulting principally from (a) photographic proficiency and achievement, and (b) those primarily of a service nature. Since personal achievement alone does not necessarily contribute to the advancement of photography, elements of service must be generously given and evident. Service may contribute substantially to the advancement of photography even though the nominee’s proficiency in the medium may be limited. 1991 Revision: There shall be no limit in the numbers of nominees submitted by individuals or accepted for the honor of FSCACC. The FSCACC QRC shall determine if a member has performed in such a worthy manner to receive this honor. The nominee must be living and an active member in good standing of a SCACC-member club at the time of the nomination. The nominee must have been an active member of a SCACC-member club for a minimum of five consecutive years prior to his or her nomination. The nominee must have made significant contributions to the betterment of SCACC in particular and to photography in general. In this respect, he/she shall have generously shared his/her knowledge of techniques with other members, and encouraged the progress of new and less knowledgeable members throughout all clubs. Non-exclusive examples of activities which could lead to the nomination are: service to the community. continuous service to SCACC. past officership in SCACC*. SCACC committee activities, competition judging, instructional seminars, program presentations and photographic demonstrations. The Qualification Review Committee (QRC) shall consist of the current President. Vice President and immediate past-President of the Association, plus five members selected by the Council of Presidents. The QRC appointee’s term shall be for two years with two or three of the appointed members moving off the board each year, and being replaced by new appointees to give continuity to the operations of this committee. The immediate past president shall be a non-voting member-at-large but shall serve as a voting alternate when one of the other seven members is absent. Any individual may nominate a SCACC member. The name and specific qualifications for each nominee shall be submitted in writing to the QRC no later than December 31st of each year. The proposal should show definitively that the nominee is deserving of the Fellowship in all terms of the guidelines set down. Facts may be gathered from any source, such as past records, personal acquaintances. or interview with the candidate. The QRC shall have the option of nominating for consideration one candidate per year. The QRC shall review and select the Fellowship from the list of nominees. Approval of a nominee shall require a minimum of five votes by the QRC. No FSCACC will be awarded for a particular year. if no nominee is offered. or none considered worthy by the QRC. Bestowing the honor of Fellowship shall take place at the Scott Watson Salon/SCACC Annual Banquet. The honoree shall be presented with an inscribed SCACC medal and a Certificate of Fellowship. After a fellow has been awarded FSCACC notify them by letter. The certificate is obtained by Vivean Peller who has it in her computer.